May 10, 2017: Hey I really don't know anything about laptops, and would love some advice for a gaming laptop. May 11, 2017: DIY "Rugged External SSD/HDD"
May 21, 2017: dear goodwill computer works: your prices are recockulous. Jun 10, 2017: I have an Aspire VX 15 and am looking to add another hard drive. Jul 13, 2017: Are these hard drives compatible with my old Dell XPS 15z? If not, how do I find out what is? Jul 19, 2017: Acer Aspire 15, which HDD to get? May 01, 2018: 5400 RPM HDD fine for gaming? 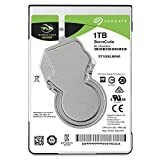 May 10, 2018: Will any HDD bellow my laptops's slot size of 9.5m, fit? Jan 23, 2019: Two slim consoles refusing to recognize OFW or CFW update files after attempting to switch hard drives. Did the hard drive harm the console? Feb 08, 2019: Hp Sliver Fusion Laptop: recommendations on what I should do with a new hard drive.